Last week, over 200 people gathered at LinkedIn SF for Breaking Into Tech, an evening of networking to learn the ins and outs of working in the tech industry. Find out what we learned in the latest sf.citi blog. Many of us know that networking is key when it comes to landing a job. Unfortunately, not everyone has the same access to networking opportunities, especially within the much coveted tech industry. That is why sf.citi partnered with LinkedIn, HireClub, and Jewish Vocational Service (JVS) to host Breaking Into Tech. 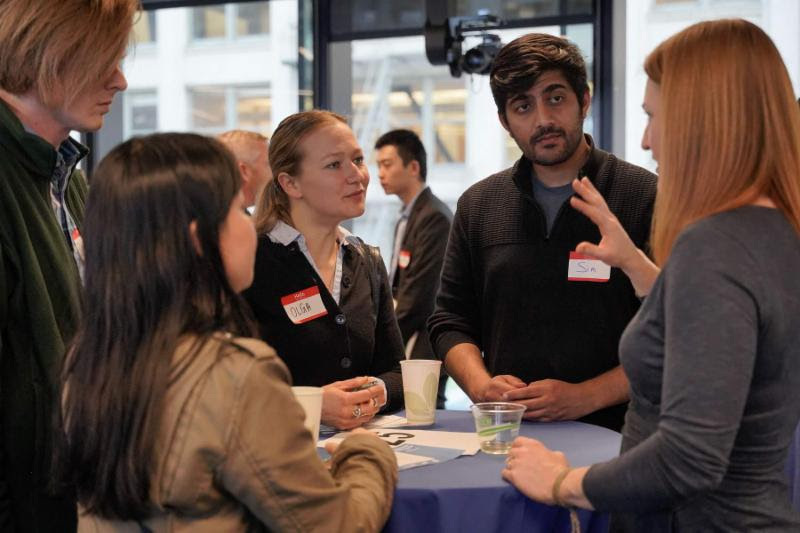 Mixing some 150 job seekers of every background with over fifty employees at San Francisco’s top tech companies, Breaking Into Tech was a rare case study in bridging the networking gap. Broken up into five 12-minute speed networking sessions—plus some casual post-event mingling—Breaking Into Tech was an evening of connection across backgrounds and industries. We learned networking hacks from LinkedIn, received resume feedback from HireClub, and left with lots of new contacts. Find out more and look for yourself in the event photos below! Got another great networking hack? Let us at sf.citi know! A new participant of sf.citi’s Circle the Schools program, Affirm brought employees to volunteer at Jose Ortega Elementary School (JOES) for the annual JOES Engineering Expo, a showcase of student projects on the basics of engineering. 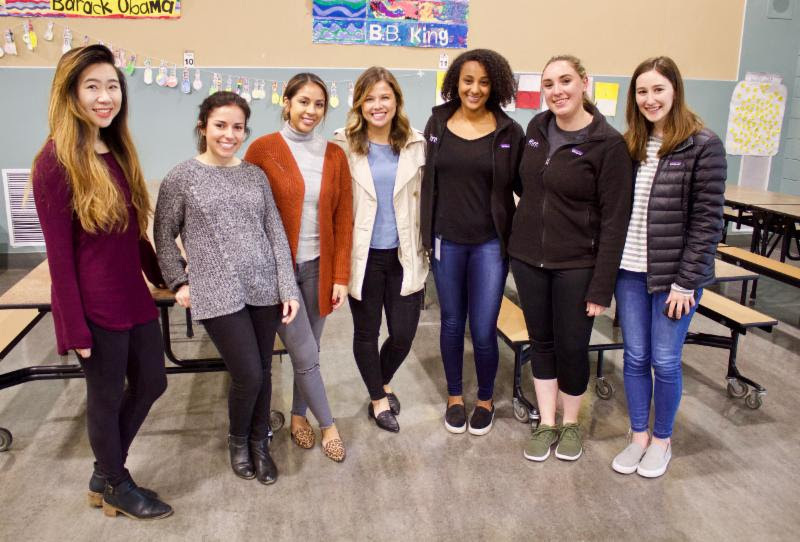 Affirm connected with Jose Ortega through sf.citi’s corporate volunteer program, Circle the Schools, run in partnership with the San Francisco Education Fund and the San Francisco Unified School District (SFUSD). Assisting at the JOES Engineering Expo is just the start of Affirm’s ongoing support of Jose Ortega Elementary School. Like other sf.citi members involved in Circle the Schools, Affirm employees commit their time, resources, and expertise to making enriching educational events like the JOES Engineering Expo possible and meeting the needs of San Francisco schools. During the JOES Engineering Expo, students and teachers presented their semester-long projects attempting to solve a number of engineering problems. Affirm employees oversaw several of the classroom experiments, guiding students and their parents as they created a magnetic field to move objects, turned water purple with cabbage juice, and used household objects to generate vibrations. 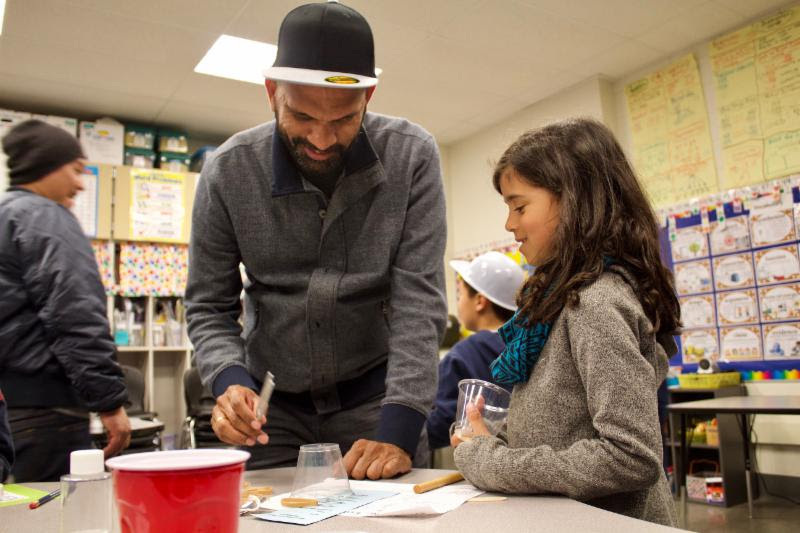 This year’s projects were the culmination of the physical science unit of the new Amplify science curriculum that the San Francisco Unified School District (SFUSD) selected to address the Next Generation Science Standards. 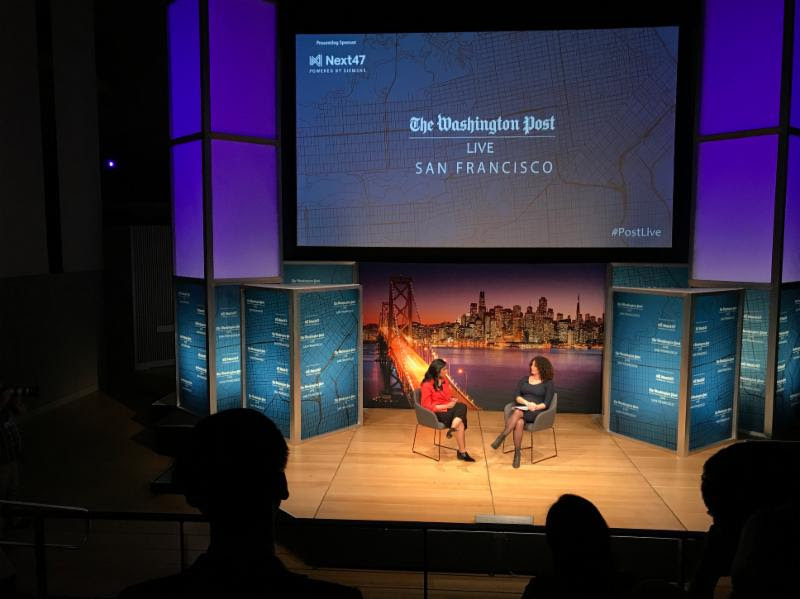 Last week, sf.citi attended The Washington Post’s debut Technology 202 live event in San Francisco. We heard reporters discuss some of the hottest tech policy issues of the day—data privacy, content moderation, the gig economy, and more. One of the themes of the night focused on the difficulty of making policy in Washington that keeps up with the pace of tech in Silicon Valley. sf.citi highlighted three of our favorite talking points from the evening below. Tradeoff between privacy and safety. Former Chief of Security at Facebook, Alex Stamos, emphasized the inherent tension between user demands for increased privacy and policing from Facebook. He also advocated for one, uniform federal privacy standard rather than 50 different state laws (read up on California’s privacy law here). Incentivizing gig workers. CEO of TaskRabbit, Stacy Brown-Philpot, said most “taskers” gig part-time, enjoying both the flexibility and supplemental income that gig work offers. She also noted the need for further discussion around portable benefits – luckily sf.citi authored a blog all about that here. sf.citi members Google and Waymo outdid themselves for April Fools. In case you missed their hilarious and/or kind of adorable faux product releases, please delight in the mockery of Google Tulip and Waymo Pet here.